Podcast equipment is one of the many things you need to consider when planning a new show. How are you actually going to record the thing? This term covers such a wide variety of gear though. It’s easy to imagine a pro-level radio studio filled with lots of intimidating (and very expensive) equipment. But for the vast majority of podcasters, this looks nothing like their own recording setup. You can break podcast equipment down into categories by looking at what’s involved in the creation of a podcast episode. Your voice needs to be recorded, the audio needs to be processed, and then the final MP3 file needs to be published. This is a process that can be made as simple or as complicated as you like. You’ll find certain devices out there than can do most or even all of the above. If you use very little kit, the process will be simple, but you’ll also have less flexibility and control. 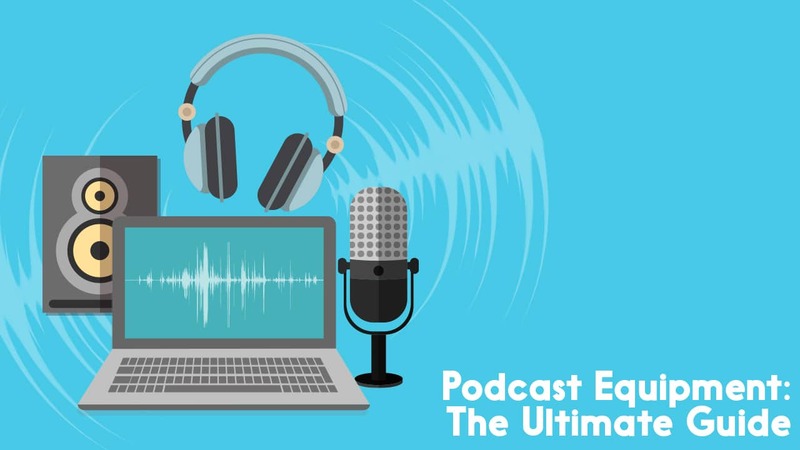 This isn’t an issue for most aspiring podcasters, though, as they’ve no intention of becoming an audio engineer – they just want to get their message out there. When you think about a microphone, you might imagine the typical musician’s mic – and whilst you can absolutely use one of these to podcast, it’s worth noting that mics come in many forms, shapes, and sizes. So what options are available to us when thinking about our microphone? A common and simple option is the USB microphone, which plugs straight into your computer. USB mics are ideal for beginners, especially folks who do solo/monologue-style shows, and those running online interview podcasts. Check out our USB mics roundup to have a look through our favourite options on that front. XLR mics need additional equipment to run them. They don’t plug straight into your computer, but instead, go into a preamp, mixer, or digital recorder (more on these all later). You can actually get preamps, mixers, and digital recorders in USB form though, so you can run an XLR mic into your computer, just not directly. XLR mics are suited to folks who want premium sound quality, a lot more production flexibility, and those who don’t want to be tied to a computer at all times. Check out the best podcasting mics roundup for our top picks there. rry a mic around with you in the form of your smartphone, and you can use that to podcast with too. The Rode SmartLav+ setup is ideal for on-the-go recording and location interviews. There are a lot of high quality digital recorders on the market too. You can record directly into these, or plug additional mics into them. Again, these are a great option for someone who’s looking for a flexible and portable setup. And speaking of digital recorders, we now need an option for actually capturing and storing your audio. This could be anything from a phone, to a computer, to a dedicated digital recorder itself. A dedicated digital recorder is a great option for someone who wants to podcast on the go but is looking for a level of sound quality above what you’ll get with a smartphone. On top of that, digital recorders offer a lot more settings and options for creating audio, because that’s what they’re literally built for. You don’t even necessarily need an additional mic to record into one because they all come with built-in mics. There’s a plethora of options available to you when it comes to recording directly into a computer. You can use a DAW (Digital Audio Workstation) like Audacity or Adobe Audition, for starters. Or, if you’re looking to record online/Skype interviews, there are many call recording options on the market nowadays too. Check out our podcast software guide for more on this front. There are a tonne of recording apps out there that’ll enable you to record directly into your phone. You probably even have a default recording app on there already. Recording into a phone can be really convenient, though it lacks the flexibility and options of a dedicated digital recorder. Nevertheless, it’s often a great starting point for many, and you can always upgrade your equipment further down the line. You don’t actually need a preamp or mixer to podcast, but many podcasters do still utilise them. So why might you consider getting one? If you want to use an XLR mic. If you want to use multiple mics. If you want to record live, or “as live” – with all your music, SFX, etc. played in real time. My favourite preamp is a little USB device called the Focusrite Scarlett 2i2. 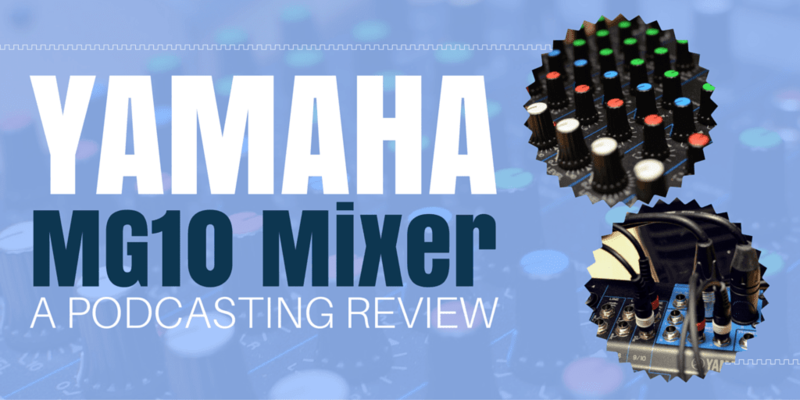 There’s a few different mixer options in our best podcast mixers roundup, and we also need to give a mention to the newly-released Rode Rodecaster Pro which is a mixer, recorder, a general podcast studio rolled into one. Headphones are a vital part of the podcast equipment lineup. You should always “monitor” your recordings, even when doing a solo show. This means using headphones whilst recording so you can hear exactly what’s being captured. The benefit of doing this is that if there’s issues, you can fix them right away. You’ll also need headphones to hear your guest if you run an online interview show. They come in handy for listening back to recordings, and for editing audio too. Check out our best podcast headphones roundup for a few great options there. Once your podcast has been recorded, you have the option to edit it, but this isn’t a necessity. See how much editing should I do in my podcast? for more on that. When we get to this stage, the “podcast equipment” side of things is really just as simple as a computer. It’s what software and tools you use on that computer that you need to give thought to. If you’re doing any sort of editing, you can choose one of the many software options out there. I’ve mentioned DAWs (Digital Audio Workstations) like Audacity and Adobe Audition already, and these are both great post-production options. If you want to do some editing, as well as add in an intro and outro track, but you don’t want to learn how to use a DAW, then check out Alitu. Alitu is an app we’ve created that makes it easy to record, produce, and publish your podcast, even if you know nothing about audio. Again, you’ll just need a computer to run it. There’s a mobile app on its way too. Finally, we get to the publishing stage. 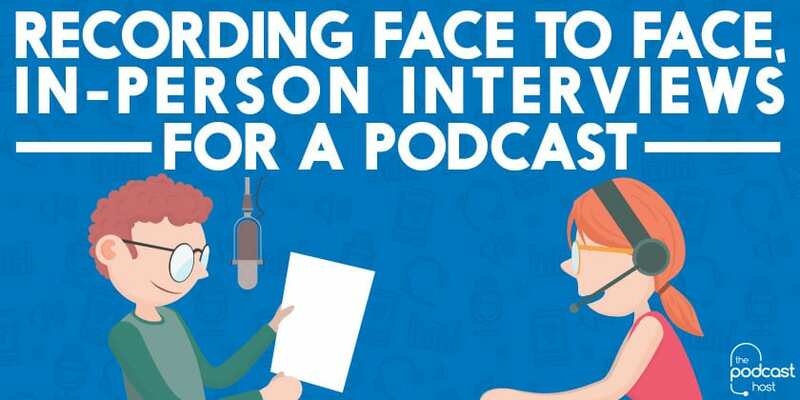 In order to upload your podcast for the world to hear, you need to sign up to a media host. This is basically where your podcast lives online, and the hub where places like iTunes and Spotify will look towards to pull all your content for. You’ll find our favourite media hosting options right here. Each one has its own unique features and there’s something there to suit any podcaster, no matter their skill level, motivation, or budget. I mentioned already that most people don’t get into podcasting to collect loads of fancy and expensive audio equipment. Some folks do end up doing that, of course, but you definitely don’t need to. It’s better to start simple so you can focus on your actual content, rather than whether or not your long chain of gear is all working correctly. Over time, as you grow, you can tweak and upgrade things here and there. My biggest podcast equipment tip that applies to most beginners is to get a Samson Q2U mic. It works as both a USB and XLR mic, so if you decide to upgrade to a mixer or preamp further down the line, you won’t need to buy a new mic. It’s also great value, and well within most people’s budget. Aside from that, it’s hard to make any one-size-fits-all recommendations because there are many variables. But remember, when it comes to editing and publishing then be sure to check out our podcast production app Alitu. And, if you’re looking for more help or guidance towards any aspect of podcasting, gear or otherwise, then have a look at The Podcast Host Academy – that’s where we run regular live Q&A sessions, a community forum, and have video courses on everything from presentation and editing skills, to audience growth and monetisation! Hi, thanks for your very helpful advice and guidance. I came across you through your ebook originally, which was just what I was looking for. I ended up following your advice and purchased a Roland R-05, but I haven’t been that happy with the sound, which seems a bit tinny. I don’t have a particularly discerning ear and recordings are fine to use, but I think I must be using the ring settings. I followed their instructions for recording a meeting (high mic gain, AGC on, low cut on and so on) but perhaps that is the wrong approach? The Roland is a great little recorder, recommended by quite a few top podcasters, but you’re right, it’s not perfect in all circumstances. Can you tell me what the recording environment is like? Where are you recording this audio? The microphone on the Roland itself is good, but it’s not as good as a decent quality standalone mic. It’s often best to pair it with an external one if you want the very best quality. For example, get yourself a Shure SM58 and plug that into the Roland for a bomb proof hand-held solution, or get a decent little lavalier mic and attach that to your subject’s shirt. Hello, thank you for your great and helpful article. Altogether, this setup would run about $160 on Amazon. Alternatively, there is a kit for smartphones for $30 (Movo Executive Lavalier Clip-on Interview Microphone with Secondary Mic & Headphone Monitoring Input), and the reviews on Amazon are strong. Would you recommend against this option? P.s. I’m brand new to podcasting and am looking for the cheapest and simplest way to get out of the gate. Thanks again for your help. Thank you for this article. I plan to work with adobe audition, do I still need a mixer for recording (pc / audio device / smartphone) ? That you did not mention the most obvious software for and vocal digital audio project or podcast is disappointing. HINDENBURG JOURNALIST has got soo much going for it.